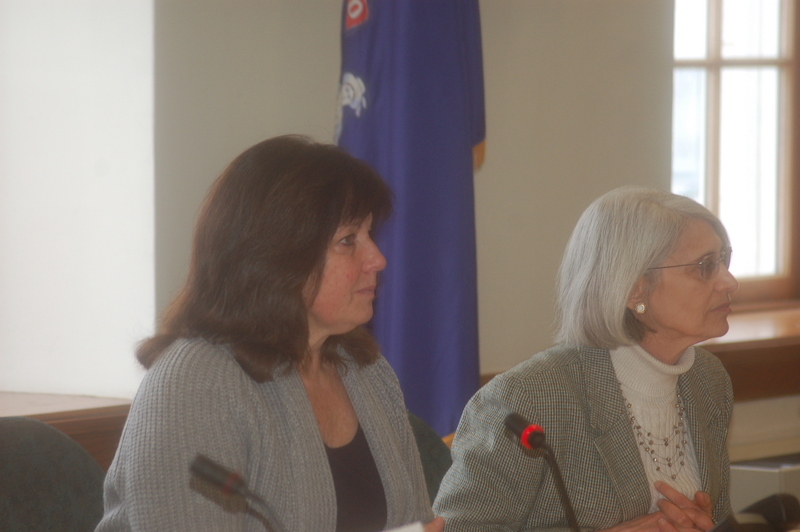 Senator Dawn Hill and Rep. Peggy Rotundo, chairs of the legislature’s Appropriations and Financial Affairs Committee, listen to testimony at a public hearing. Portland­­- Emerge Maine, the premier political training program for Maine Democratic women, has named State Senator Dawn Hill of Cape Neddick and State Representative Peggy Rotundo of Lewiston as the 2014 Women of the Year. Previous Emerge Women of the Year are Clerk of the House Millie MacFarland (2010), the Honorable Libby MItchell (2011), Congresswoman Chellie Pingree (2012), and Attorney General Janet Mills (2013). Senator Hill and Representative Rotundo chair the Legislature’s Appropriations and Financial Affairs Committee, the state’s budget­writing committee. In an economically challenging and contentious political environment, they lead by example demonstrating a strong commitment to bipartisanship, working together, and civility in politics. Under their leadership, the Appropriations Committee unanimously recommended a bipartisan budget that was approved by more than two­ thirds of lawmakers in the House and the Senate during initial votes and again during subsequent votes to override Governor LePage’s veto of the budget. Senator Hill, a non practicing attorney, is currently serving her second term as State Senator representing Eliot, Kittery, Ogunquit, South Berwick, and York. Prior to her time in the Senate, she served two terms in the State House representing York. In May 2008, she graduated from the prestigious “Leadership Maine,” a program of the Maine Development Foundation, in the Omicron Class. Senator Hill is the founder and owner of It’s a Dog’s World, a large canine training and activity facility in southern Maine. 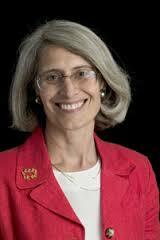 She also serves on the board of directors for MMG Insurance of Presque Isle, Maine. Representative Rotundo was first elected to the Legislature in 2000. She served four terms in the State Senate and is currently serving her third term in the State House representing part of the city of Lewiston. During her time in the Legislature, she has sponsored legislation that has created greater public access to government information, a cleaner environment, greater educational opportunities for all Maine people and better services for veterans and the elderly. She has also led in creating bipartisan state budgets. Rep. Rotundo has won numerous awards for her work on these issues and for her work in creating civil and respectful public discourse. Prior to her service in the Legislature, she served on the Lewiston School Committee, which she chaired for four years. Representative Rotundo helped found the Center for Service­ Learning at Bates College in Lewiston in 1995, which has become a nationally recognized program that connects Bates students to the community through service. She currently serves as the Director of Strategic and Policy Initiatives for the Bates College Harward Center for Community Partnerships. 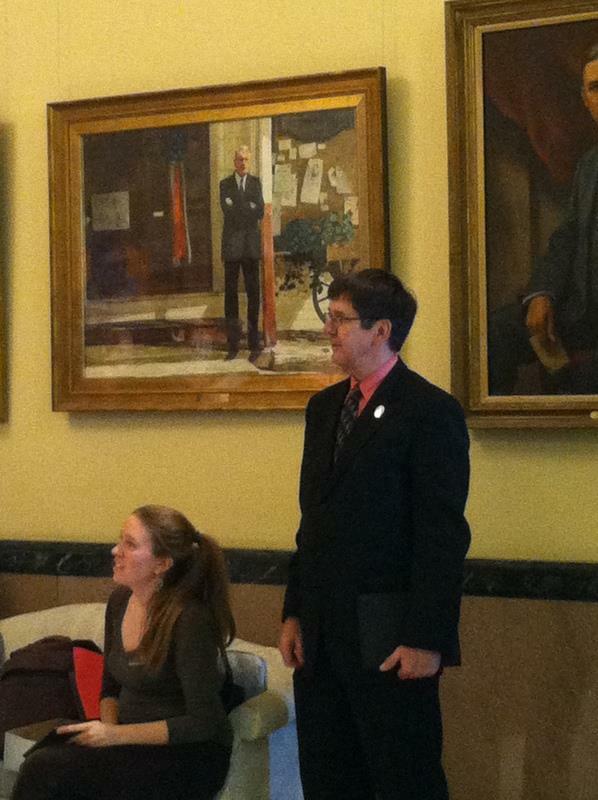 Sarah Bigney and Sen. John Patrick (D-Rumford) at the State House. Emerge Maine will also be honoring Rising Star Sarah Bigney of Hallowell. An Emerge alumna from the Class of 2009, Bigney is Director of Field and Member Mobilization at the Maine AFL­CIO where she advocates for workers’ rights and economic justice. 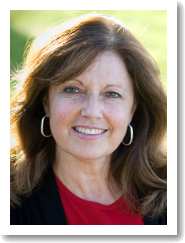 Her work includes supporting the newly formed Maine Lobstering Union and recruiting and training union members to be candidates for the Legislature. She was named the 2014 “Mrs. Paul Bunyan” in her hometown of Bangor. Emerge Maine is one of fourteen state Emerge programs across the country. Emerge is committed to increasing the number of Democratic women in office, building a strong network of dedicated women leaders, and creating a pipeline of Democratic candidates at all levels of government. Emerge Maine has 140 alumnae, Emerge Maine alumnae make up ten percent of the House Democratic caucus, and there will be 20 Emerge Maine alumnae running for the State House in 2014. Senator Hill, Representative Rotundo, and Bigney will be honored at the 2014 Woman of the Year reception Thursday, May 15, at the Senator Inn in Augusta.